Last week, Angela Merkel’s party, the Christlich Demokratische Union Deutschlands (CDU) obtained 19% of the votes during the elections in Mecklenburg-Western Pomerania. The Sozialdemokratische Partei Deutschlands (SPD) won the elections with 30% of the vote, while the right-wing party Alternative für Deutschland (AfD) obtained 21%. As for the other parties, Die Linke got 13.2%, while the Greens 4.8%. The Freie Demokratische Partei (FDP) reached 3%, same as the Nationaldemokratische Partei Deutschlands (NPD). The turnout was 61%, definitely higher than the 51.5% of the past elections. 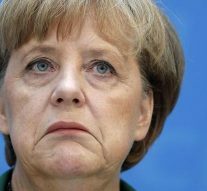 The outcome of this voting – particularly in her home constituency – was a political earthquake for Angela Merkel, strong enough to potentially shake the Grosse Koalition. AfD made a rough election campaign, describing Islam and immigration in general as the real problem of Germany, taking advantage of these worries and uncertainties of a part of the electorate. The reason why Angela Merkel has lost it is not related to her policy of austerity against Greece and the Mediterranean countries but, rather, because of her recent policy towards migrants and refugees. The German electorate also is embracing populism and right-wing ideas, as it already happened in the rest of Europe. This was the case in Great Britain with the United Kingdom independence party (UKIP), in France with Marine Le Pen and the Front National, as well as in Italy with the Movimento 5 Stelle and the Lega Nord. But the list does not end with those countries, as xenophobic, racist, far right-wing populist parties have recently increased in Austria Poland and Hungary too. Hungary agreed to build a wall against immigrants, in Austria more stringent controls were approved to prevent immigrants from entering the country through the Brenner Pass. Each and all of these initiatives were condemned by the European Union (EU). For more information on this issue, read our collection of articles on Austria’s wall at Brenner Pass. But now that Britain and France announce the construction of a wall in Calais to stop immigrants, the EU is silent. The effects of Brexit on the EU, even if slightly, can now be seen. Furthermore, most of the pessimistic predictions cast on the eve of the UK vote on Brexit seem disproved by UK’s soaring GDP growth. Currently, the risk for Europe is that Chancellor Merkel, in an attempt to retrieve her votes, might decide to embrace a more right stance, as Werner Faymann , Austria’s Sozialdemokratische Partei Österreichs leader, have already done to steal votes from Freiheitliche Partei Österreichs (FPÖ), Austria’s extreme right-wing party. What is certain is that German people want Merkel to continue imposing austerity policy to the Mediterranean countries, while applying a stricter policy towards immigrants. So, the Bundesbank might also decide to hamper even more the President of the European Central Bank, Mario Draghi, frowned upon by German bankers. Only time will tell whether Angela Merkel will yield to that temptation or risk her possibility of being re-elected. « Previous Article With China and the US on board can we avert climate change?